This wedding was stunning to photograph, and Kelly and Brett had such a wonderful fairy tale romance, engagement, and wedding, I'm excited to tell you all about it! Kelly and Brett have a standing "Thursday Date Night", and have since they started dating. On a seemingly regular Thursday date night, Brett took Kelly to an Italian restaurant, and then over to the south pond pavilion during the zoo lights and proposed in front of the skyline. 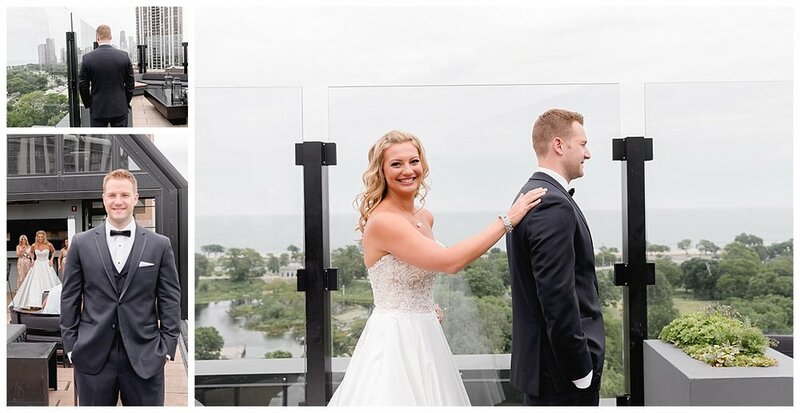 He had arranged for the best man and maid of honor to meet them for a drink at the J. Parker and they then had their first look on their wedding day at that same spot! Can you say romance? During the planning of the wedding, their favorite part was food and cake tasting because they got to include their family in it. They knew they wanted to include the Jewish tradition of stepping on a glass after saying "I do" and Kelly wore the same veil that both of her sister in laws wore on their wedding day. They also planned a memorial table for their family members who are no longer with them. The wedding party were SO much fun! 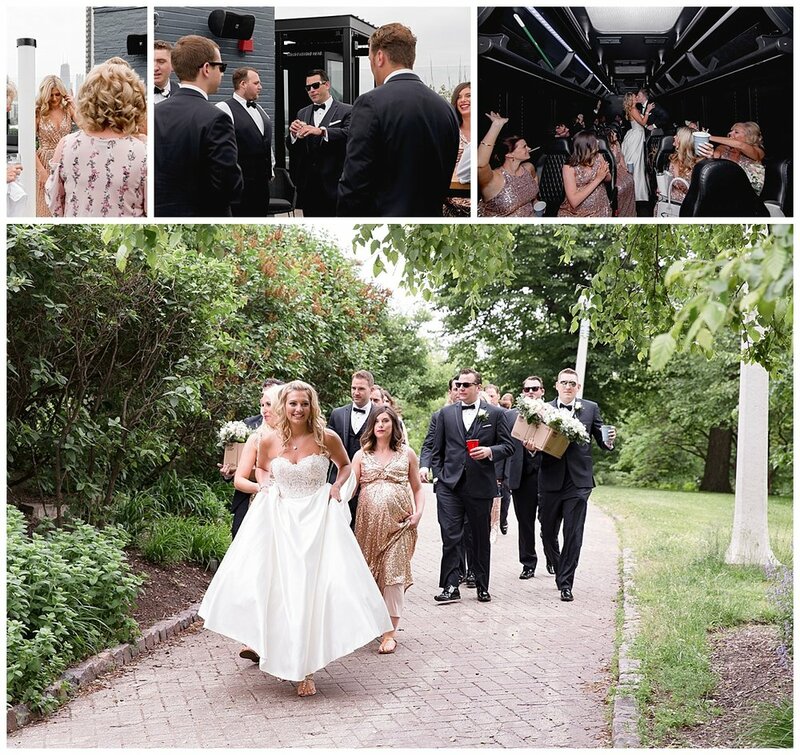 Everyone was so happy and full of love for Kelly and Brett, and they all looked stunning. 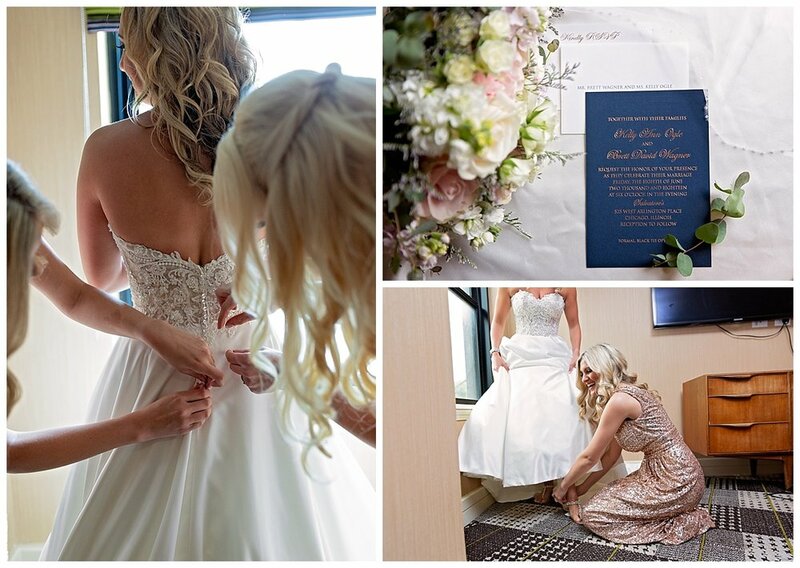 Kelly was a gorgeous bride and all of the bridesmaids must have been so happy she chose such stunning bridal party dresses. The bride and groom went on their honeymoon to Montego Bay in Jamaica and say they just can't wait to travel and spend their lives together. Congratulations Kelly and Brett!